Those of you who are regular readers/followers have likely heard me discuss my issues with dry skin before, especially during the winter. 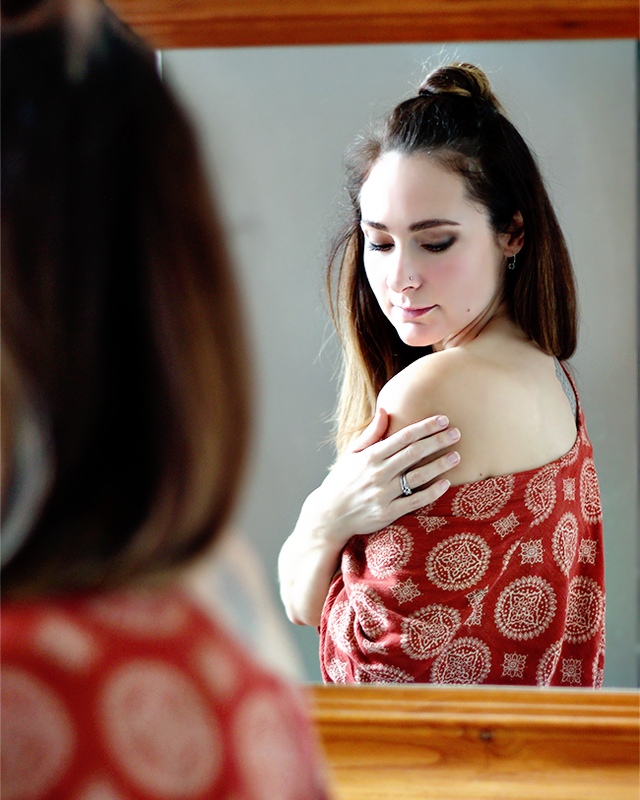 Recently, I shared some of the ways I care for the skin on my face this time of year. 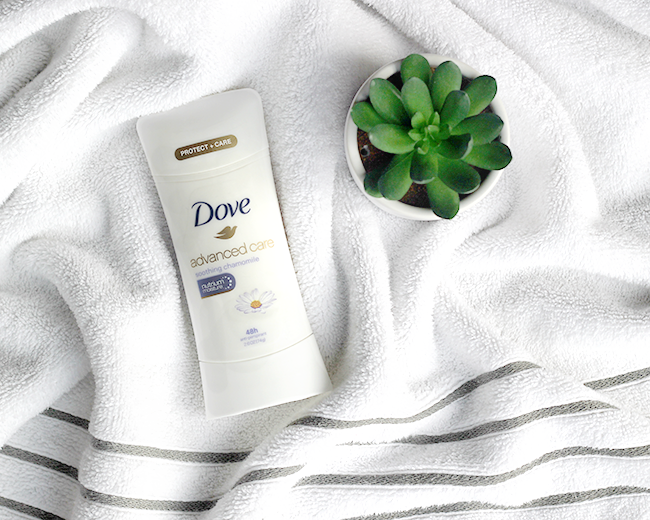 And today, I’m excited to be partnering with Dove Advanced Care Antiperspirant to talk about caring for skin as a whole during the colder, drier months – beyond the face, to include the entire body. (I wish I could say that it was only my face that needed extra care in the winter, but every part of my body is affected. I’m sure many of you can relate!) In addition to sharing some of my own tips that I’ve learned through personal trial and error, I’m also going to share some simple but highly effective tips from Dove Dermatologist Dr. Alicia Barba. 1. Use a humidifier. I run a cool mist humidifier in my bedroom every single night in the winter months. It’s amazing what massive increase in the dryness and irritation level of my skin I noticed on those occasional nights where I forget to turn it on. Using it nightly results in much softer skin that isn’t itchy or irritated. 3. Stick to warm showers. Hot water dries out skin, and quickly. Taking a cool to warm shower instead can help prevent excess skin dryness. This small change has actually made a huge difference for me. 4. 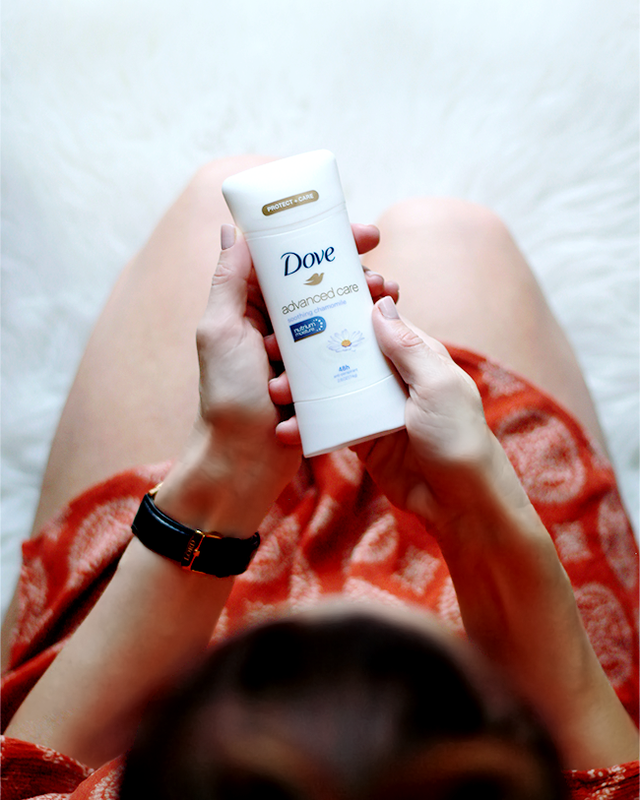 Bring a little summer to winter – with sunscreen. Even if your summertime bikini and beach bag are hidden at the back of your closet this time of year, Dr. Barba suggests keeping your sunscreen out and readily available to use daily. She also recommends switching to a moisturizing sunscreen that is richer than what you’d use in the summer months. 5. 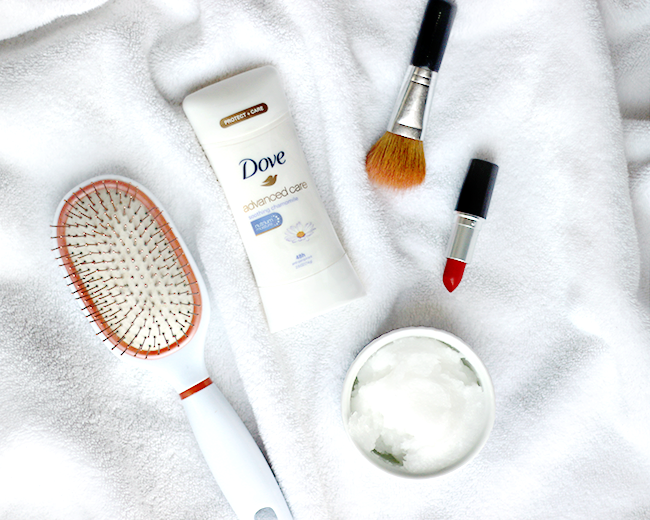 Make a bedtime routine for your skin. Dr. Barba says that bedtime is the best time of day to hydrate skin. Her recommendation for decreasing collagen breakdown at bedtime is as follows: 1. Wash your face. 2. Apply a retinol. 3. Moisturize. Easy and effective! 6. Pay attention to elbows and heels. It only takes a week into the wintertime and my elbows and heels are instantly cracked. I apply a thick moisturizer or coconut oil to both of these areas every day while I’m getting ready, and immediately after every shower, which helps to soften my skin in these areas tremendously. 7. Drink plenty of water. Hydrating from the inside out is important when it comes to skincare, especially in the winter when the air is drier. I continually fill up my water bottle throughout the day to keep my entire body hydrated. 8. Avoid intense exfoliation. Another helpful tip from Dr. Barba is to lay off any sort of intense exfoliation in the winter. She says that when you over-exfoliate, it can actually dehydrate skin by stripping it of essential oils. This can also lead to breakouts during this cold, dry time of year. Winter can be incredibly harsh on skin, but there are ways to guard against dryness and other issues so your skin feels as healthy and soft as it does in the warmer months. I hope these tips prove as useful to you as they have me. And I would love to hear tips of your own that I might have missed! This is a sponsored post written by me on behalf of Dove Advanced Care Antiperspirant. Thank you for supporting the brands that help make Bubby and Bean possible.